Prices include all airport taxes and fuel or international surcharges. Price does not include the add on fare from your local airport. Please call to determine the total price for departure from your local airport. Our pilgrimage prices are all inclusive: transfers, tips, and airport taxes are all included. Travel insurance is not included but is available for purchase. We depart from our home cities to Washington Dulles where we will all meet before boarding our overnight flight to Vienna. 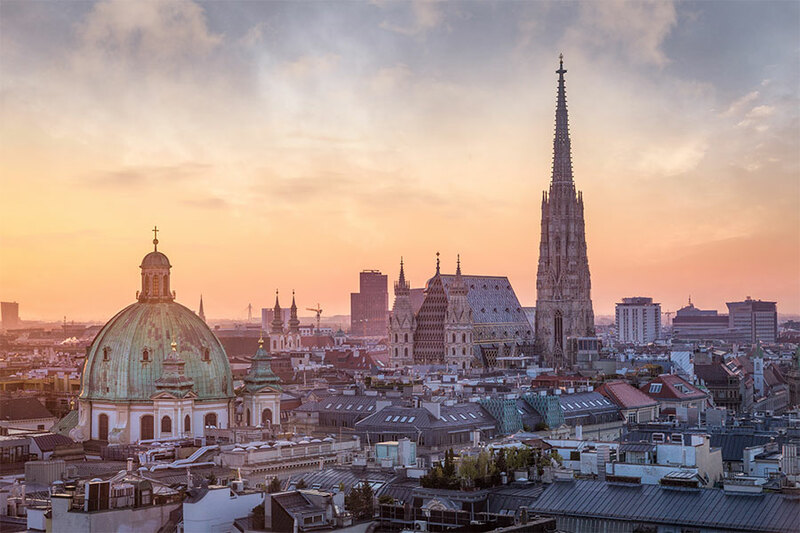 We depart Vienna for our short flight to Sarajevo where our motor coach will be waiting to transfer us to Medjugorje where we will check into our host home for dinner and overnight. We will be in Medjugorje for 6 days and 7 nights. Our guide, Miki Musa will set the schedule each day depending on what is happening in Medjugorje. Holy Mass will be celebrated each day at St. James Church. We will attend a private talk with the visionary, Mirjana and have a group photo taken with her. We will also climb Apparition Hill and Cross Mountain, attend talks by the other visionaries or priests, as available, and visit the Cenacolo community and Mothers Village. We will attend Our Lady's Apparition to Mirjana on December 2nd. Every evening at St. James, there is Rosary, International Mass and healing prayers. Adoration is available each afternoon from 2 to 5 PM and two or three evenings each week. Reconciliation is available each evening at 5 PM. 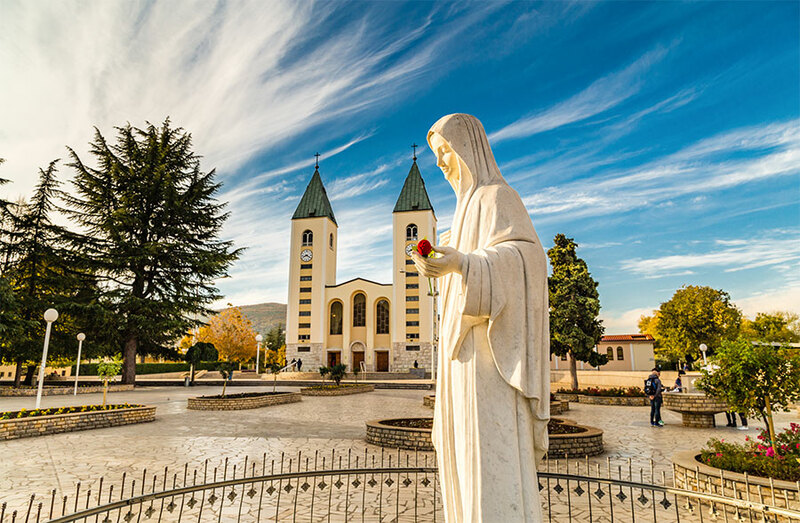 Depart Medjugorje very early in the morning and travel by private motor coach to the Old Town of Zadar, Croatia. Attend 8:00 am Mass at the Church in the Old Town that is the home of the 2000+ year old body of the Priest and Prophet Simeon who foretold that Mary's heart would be pierced by the sword of suffering. His body is above the main altar and we have requested a private viewing, if the pastor is available. 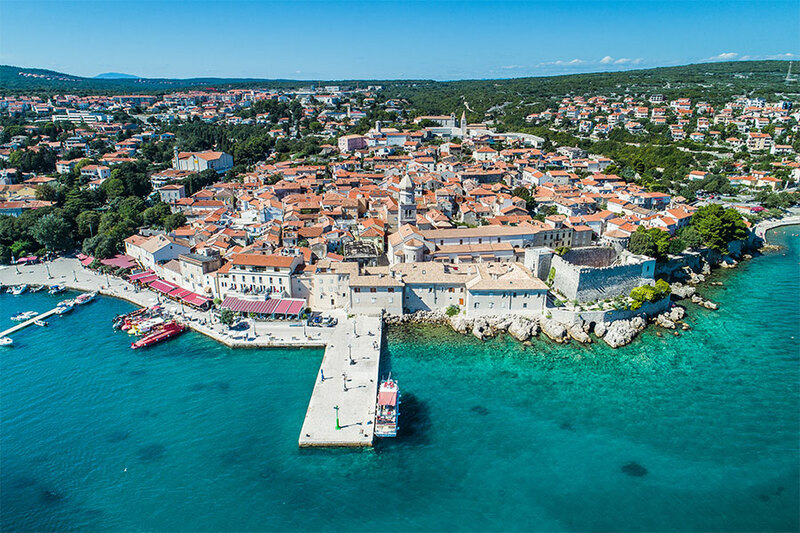 Then, we will continue by motor coach to the island of Krk in the northern Adriatic Sea. (Krk is an island but is accessible by a bridge). Arrive and check-in at the Hotel Malin on the island of Krk. The opening session of Fr. Sudac's retreat and his first talk will begin at 5:00 pm. Dinner after the session is included in the price of the pilgrimage and will be provided at the Hotel Malin. All day retreat, Holy Mass and Healing service with Fr. Zlatko Sudac. Breakfast, lunch and dinner are included and will be provided by the Hotel Malin. Retreat continues with Fr. Sudac and Holy Mass on Sunday morning. PACK YOUR BAGS BEFORE you go to the retreat. Breakfast and lunch are included and will be provided by the Hotel Malin. We will checkout and depart for Zagreb, Croatia as soon as the retreat has ended, and we have had lunch. Arrive at the Hilton Canopy Hotel in Zagreb and check-in. Dinner on your own at one of the local restaurants. Breakfast is included and will be provided by the Hilton Canopy. Then, you will have the whole day and evening to explore and participate in the 2019 Zagreb Advent Festival… many, many sights and sounds. 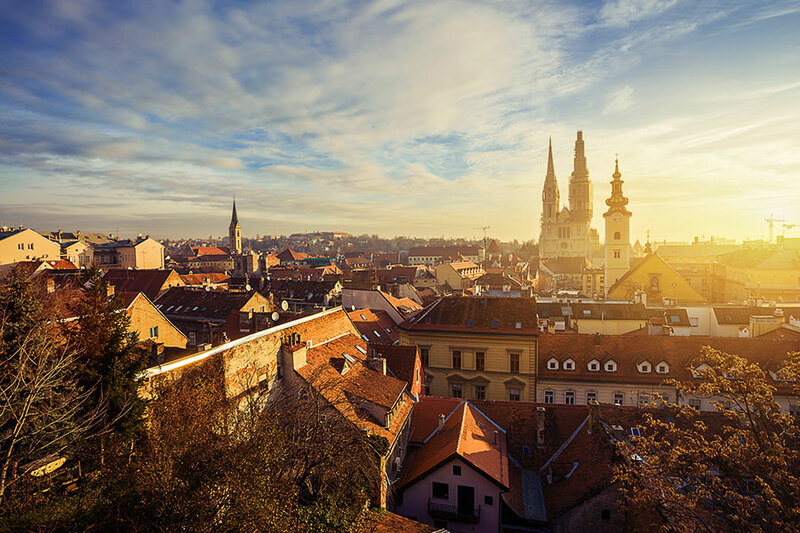 The Zagreb Advent Festival has been voted Best of Europe for the last three years. Visit www.visitzagreb.hr/zagreb-advent-christmas-market-guide to read about the most recent 2018 festival activities. Lunch and dinner on your own so that you can explore. Today we head home filled with many wonderful memories and a head start on attaining the peace and joy of the Christmas season in our hearts. Our pilgrimage prices are all inclusive: transfers, tips, and airport taxes are all included. Travel insurance is not included but is available for purchase from Travel Guard. Sign up 20 paid pilgrims and you and your priest will travel at no charge. Call Gary at 877-333-9290 for details. We are always adding new pilgrimages and you can be one of the first to know about them. Pilgrimage reservations are limited so don't miss out, sign-up today for our email newsletter!